ANDERSON, Ind. – Experience at Anderson Speedway paid off as Jack Dossey III captured his first ARCA/CRA Super Series triumph Saturday. Dossey, a two-time late model champion at Anderson Speedway, was able to save his tires and had the right car setup on Saturday to win the Mitch Smith Automotive 125. 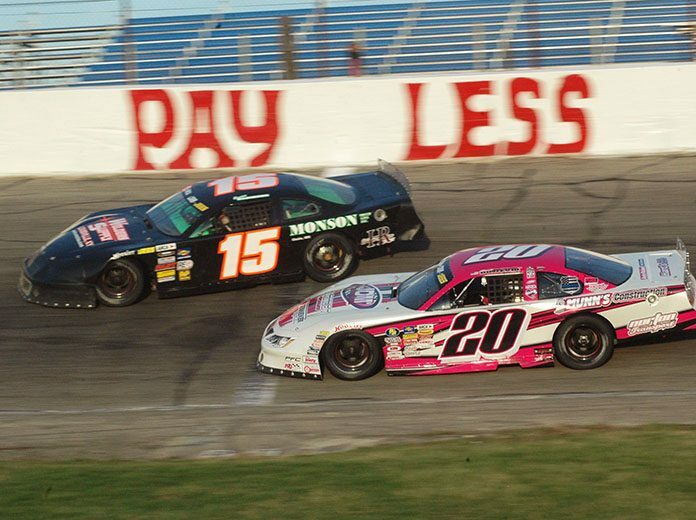 It was the opening race of the season for the super late model series. After posting the fourth fastest time during qualifying, Dossey drifted back at the start of the race to the fifth spot in an effort to save his tires. Brett Robinson led 93 of the first 94 laps around the high banked quarter-mile oval, only surrounding the lead once to Travis Braden on the 35th circuit. The race was only slowed twice by caution periods, which included a green flag run of 89 circuits. By lap 50 Dossey was running third behind Robinson and Braden and moved into the second spot on lap 72 with an inside pass in turn three. Dossey slowly closed the gap on Robinson and on lap 95 executed a bump and run move in turn four to take the lead. The final caution flag waved on lap 100 for a spin by Ryan Issacs. On the restart Braden and defending race winner Josh Brock got inside of Robinson in turn four. When Braden and Brock started battling for the position it allowed Dossey to pull away to a comfortable lead. At the finish Dossey won by three seconds over Braden, followed by Robinson, Scott Tomasik and Brock. Dossey said he was saving his tires for late in the race and the car was setup to get a good bite coming off the corners. 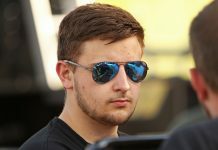 Robinson acknowledged that even in the practice sessions Dossey’s car was getting better forward bite coming off the corners. Robinson said he knew the bump and run was coming from Dossey. Braden said his car lost the rear brakes which caused the front tires to wear faster than anticipated. “We could gain some ground, but were then losing it in the corners,” he said. Jack Dossey III, Travis Braden, Brett Robinson, Scott Tomasik, Josh Brock, Austin Kunert, Cody Coughlin, Logan Runyon, Greg VanAlst, Hunter Jack, Ryan Issacs, Jeff Marcum, Eddie VanMeter, James Kirby III, J.P. Crabtree, Neil McClelland.